Bowling is "The Original X Game." Wearing this one-of-a-kind shirt from bowling.com, you'll be able to show off what an EXTREME bowler you are! 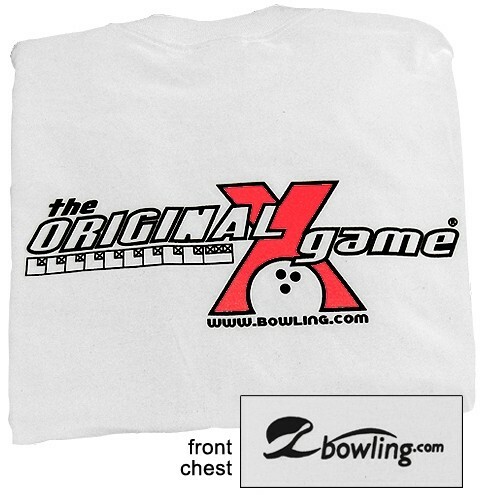 Printed on a high-quality white Hanes Beefy-T.
Due to the time it takes to produce the "The Original X Game" T-Shirt White ball it will ship in immediately. We cannot ship this ball outside the United States.